QPR midfielder Stephane Mbia insists he is ‘100% committed’ to helping the club bounce back from relegation and gain promotion to the Premier League at the first attempt. 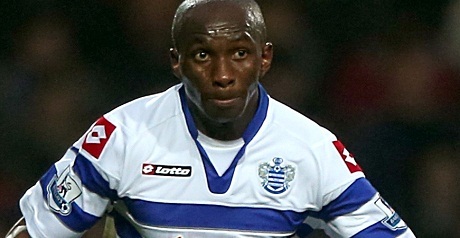 Mbia, who made 32 appearances for the R’s, last season, was expected to move on this summer as boss Harry Redknapp looks to trim the club’s wage bill in order to build a promotion-winning side. But with less than a week to go until the season opener, Mbia remains a QPR player and the 27-year-old says he is ready to put the past behind him and help the team push for promotion this season. “I’m 100% happy to stay here,” he said. “I am happy to work hard under a great manager. Harry is a very, very good man with a good heart. “I want to make everything OK. I want the team to start quickly for next season. I am happy because the manager understands me and so does everybody here. “I try to give my best for the team. Last season was really difficult for me and my family to go down to the Championship, but I’m willing to work hard. “I was disappointed for the fans last season. They suffered. I hope the manager gets the chance to keep all the good players and we can win games. Mbia scored his first goal for QPR in their 3-1 pre-season win at Southend United on Friday and revealed his reasons for running over to the bench and celebrating with the Rangers staff.